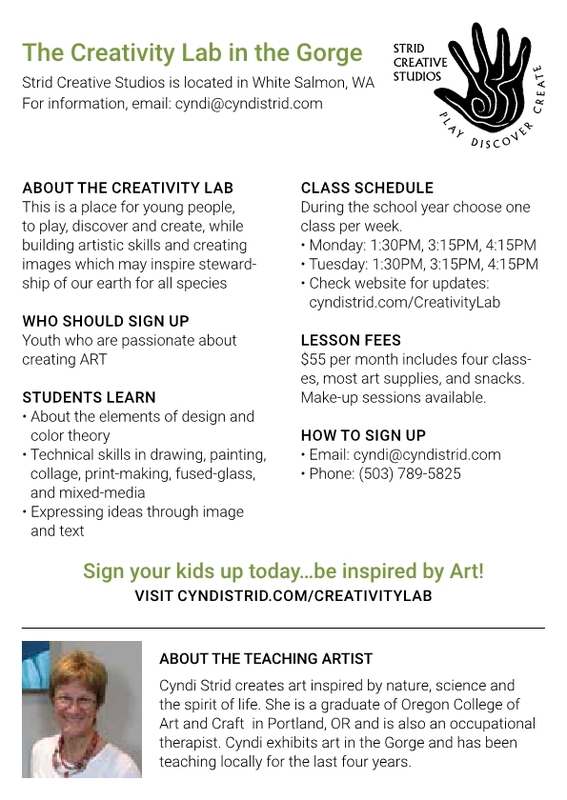 Artist and Occupational Therapist, Cyndi Strid is now teaching Kids Art Classes at her art studio in White Salmon, Washington. REGISTER MY STUDENT! Creativity-focussed Art Classes easily accessible for families living in the White Salmon area. Art studio is walkable from local elementary, middle and high schools. 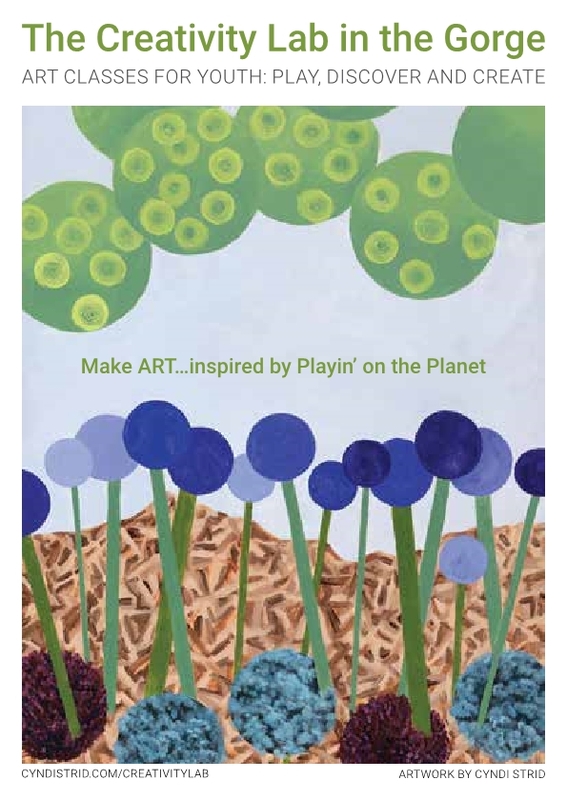 Review the list of Group Classes for ideas to inspire your child! Art classes are currently held on Mondays and Tuesdays, after school. Additional classes can be added on a weekend, or a holiday or for homeschoolers looking for arts education opportunities. Check out the Student Gallery!